As a part of our “A Christmas Tale” Blog Event, I must post about 3 Christmas reading traditions I either do already or would like to start one day. 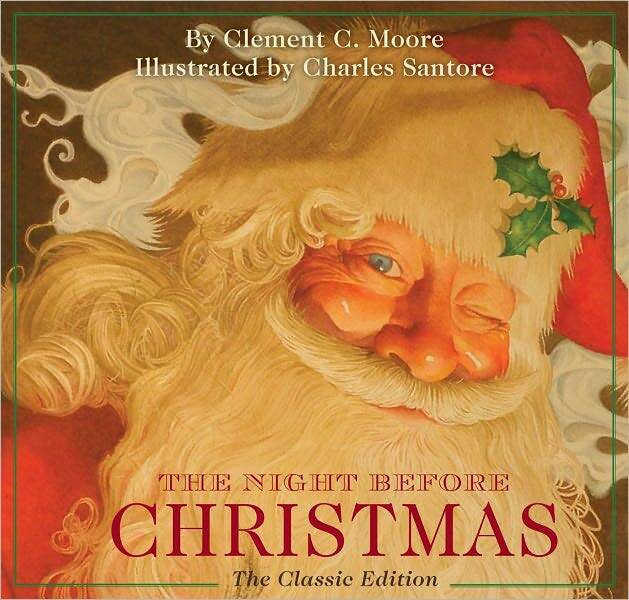 When the Philosopher and I have little ones of our own, I would LOVE to read “‘Twas the Night Before Christmas” on Christmas Eve. I just love the lyrical rhymes and the vivid imagery in the words. It is a magical poem and I’m sure I’m right in thinking that children love listening to it. What version would I read with them? I’d choose the version illustrated by Charles Santore. The poem itself was written by Clement Clarke Moore. The illustrations in this version of the tale are breathtaking. I simply adore beautiful illustrations. As a growing 2D artist myself, I really enjoy looking at great pieces of art in children’s stories. I think it does so much to help stimulate the minds and imaginations of children and adults alike. I think it would be fun to have the Philosopher read the poem to them since he has such a rich and articulate voice. Seriously, guys, my husband has the best voice ever. What sorts of reading traditions would you like to start with your kids!? Don’t have kids yet (like me)? That’s alright! What traditions do you want to do with them in the future? I’d love to hear! Share in the comments section. Happy Christmas, everyone! It’s not that far away, now.